The Proving Ground by Nathan Miller: ACADIA 2009 Paper Accepted! My paper for the ACADIA 09 Conference was accepted today. The title is "Parametric Strategies for Civic Architecture Design". There were 106 paper submissions and only 21 papers were chosen. I am very happy to be a presenter! 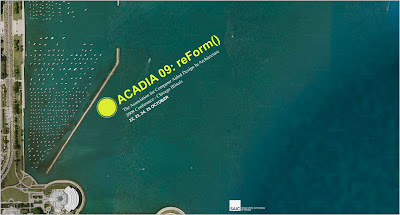 Visit the ACADIA 09 Website for more info!